Yes, you read that correctly: private prison companies like any other business, work to ensure the success and growth of their industry – which simply means in order to make more money, they need to attract people, keep them around, and make them return customers. Only, in prison speak, that translates into locking up more people, keeping them in prison longer, and/or having them return to prison after they are released. JPI’s 2011 report, Gaming the System focused on what we termed the “triangle of private prison political influence,” or the three main strategies that this industry employs to increase their market share of people. Campaign donations – Like most major industries private prison companies donate directly to political campaigns to curry favor with local, state and national legislators. Why? Because those policymakers are in charge of drafting contracts and using taxpayer money to hire private companies to fulfill the government’s implementation of the justice system. To provide some perspective, since 2000 the two largest private prison companies Corrections Corporation of America (CCA) and The GEO Group (GEO) donated over $8.6 million to state and local candidates and parties. Since 2002, they’ve donated over $3 million to federal candidates and parties. 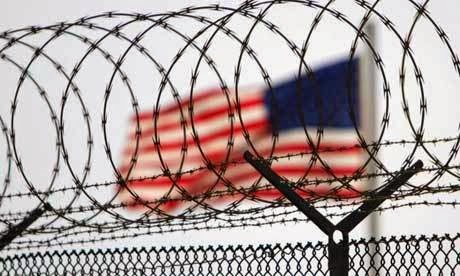 Lobbyists – Private prison companies hire lobbyists to regurgitate their talking points and business interests in the halls of congress and state legislatures across the country. Since 2000, CCA and GEO spent over $23.5 million on lobbying congress alone. Their lobbying has included appropriations bills for the Bureau of Prisons, U.S. Marshalls, and Immigration and Customs Enforcement (ICE) agencies as well as other bills such as the Private Prison Information Act, which would require private prisons to be subject to the Freedom of Information Act, which currently as a private contractor they are not. Building Relationships and Associations – Private prisons feed on the revolving door between public and private interest. With a growing list of former state and national correctional officials on their payroll (i.e. Harley Lappin, former Director of the Bureau of Prisons), this strategy has become key to building the industry and making the necessary connections to secure future contracts. Why should you care? Well, simply because we are talking about an industry that raked in over $3 billion in revenue last year, making most of their money by incarcerating over 130,000 people nationwide. And the only way they get to make more money is by putting more people in their prisons – people like you, your neighbors, and your family. So, if you are as outraged by this industry as I am, speak out. Call your local, state and national policymakers and convey the message that Donald Cohen did: “Stop them. Shrink them. And close them.” We can only really work to achieve a fair and balanced justice system if we eliminate a monetary interest to incarcerate people. Paul is research and grants coordinator for JPI.